I get all my beets together leaving about 1 inch of stem and leave the roots on during the precook time to avoid bleeding. Beets are very messy, and I always, always wear gloves and an apron when dealing with them. 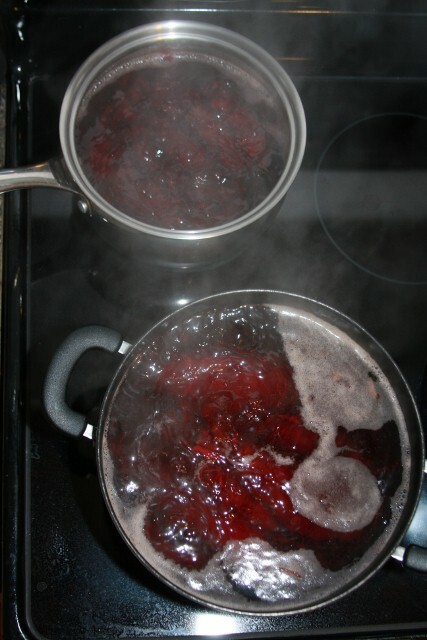 Put all your beets of similar size into boiling water. Cook until tender about 25 minutes. Drain beets and let cool. Once cooled the skins come right off. 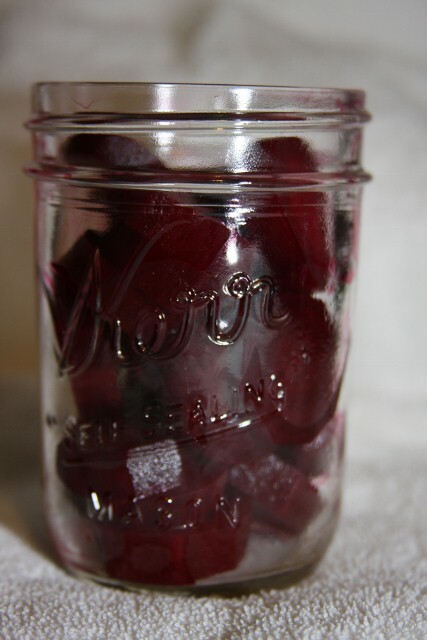 While the beets are cooling I get my canner ready and sterilize the jars. I also get the liquid part of recipe ready. combine the vinegar, salt , sugar, and water in a pot. 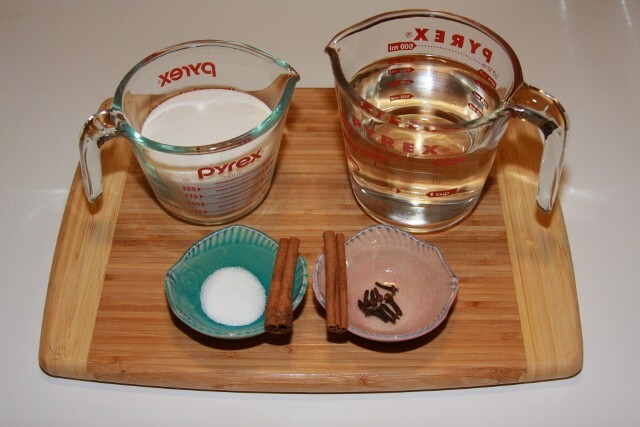 Put cinnamon and cloves in a cheese cloth bag and add to vinegar mixture, and bring to a boil. 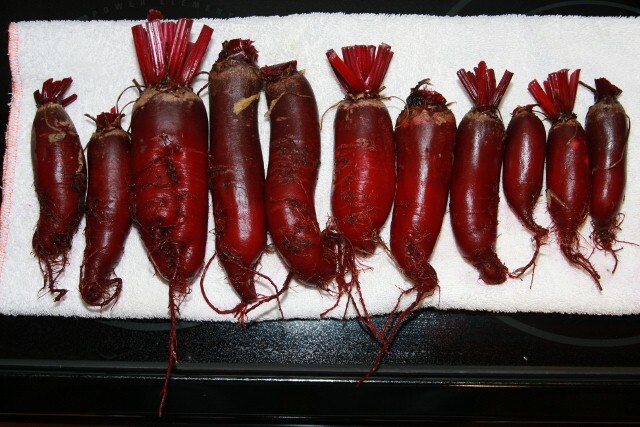 Cut the beets into 1/4 inch pieces. (I decided to not add the picture of cutting up the beets due to the Twilight effect.) Add beets to mixture and simmer for 5 minutes. Remove spice bag. 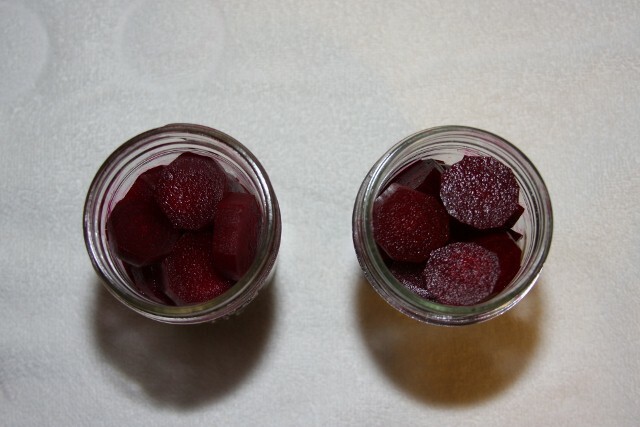 Fill jars with beets leaving a 1/2 headspace. Add hot vinegar mixture, Allowing for the 1/2 headspace. Remove air bubbles, wipe jar rims, and install rings. Process time for pints and quarts is 30 minutes in a water-bath canner.